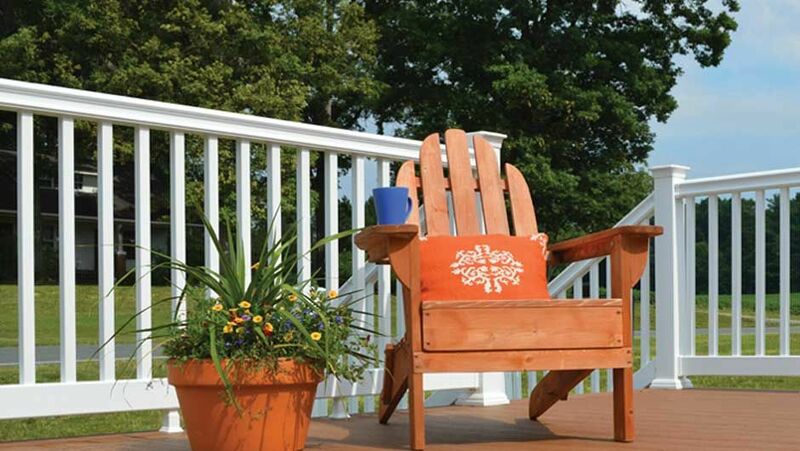 Fiberon Good Life Railing offers exceptional value and complements any decking style. The classically-sculpted, provincial-style top rail design adds a smart finishing touch to porches, balconies and stairs as well. Good Life Railing is made from a premium composite substructure with a permanent finish. Installation is quick and easy with drop-in balusters and matching rail collars. Bottom: 2" x 3.5" 6' or 8' for Level or Stair Rails 1 1/4" x 1 1/4"
Included with Rail Kit. Only needed if rail kit is made into 2 smaller railings.